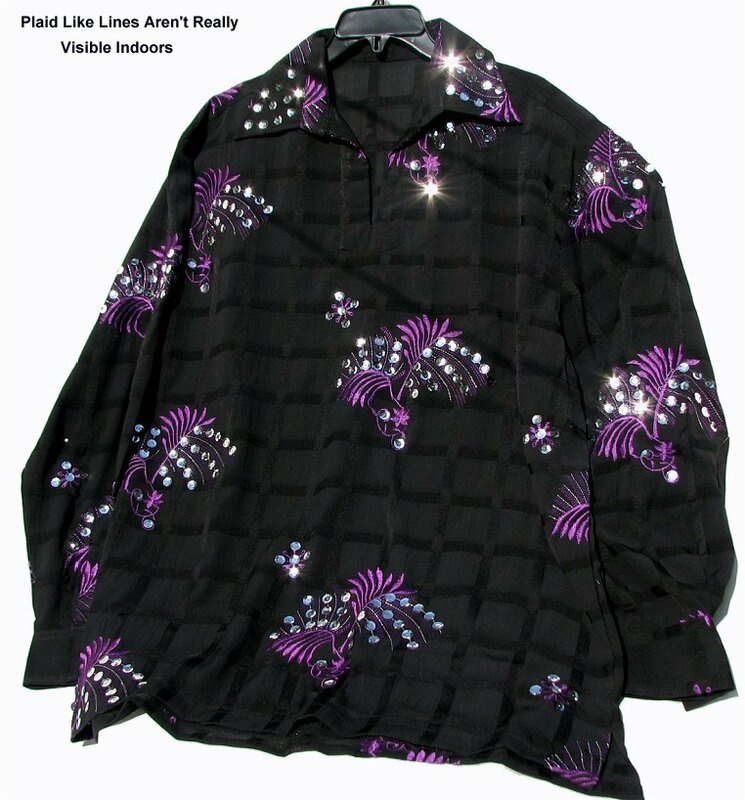 In person, what is most impactful about this shirt are the silver sequins against the black background. The plaid like texture doesn't really show up in doors. In person the shirt is darker. The light weight polyester georgette fabric looks solid black behind the sequins. The silver sequins are real, not sequin dots, so the shirt is a little heavier than the sequin dot shirts. This shirt has a long cut. It will fit a 46" chest, maybe larger. The striking shirt would be good for a performer as it is washable, machine or by hand.